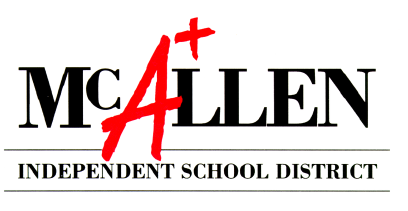 McALLEN — School district officials are proposing a new tuition-based pre-K program that could increase enrollment and make good use of vacant classrooms. The McAllen school district has a total of 26 available classrooms throughout its 12 elementary campuses, where it’s estimated they could house 572 pre-K students. While most districts in the Rio Grande Valley offer at least a half-day pre-K program at no cost, this tends to be based on pre-qualifiers such as income level or language needs, leaving those families who don’t meet the qualifications to seek private pre-K programs or simply not enroll children in school until they reach kindergarten age. These are the families targeted by the proposed tuition-based program at McAllen ISD as the district has been seeing an annual decrease in enrollment. Between 2014 and 2016 the district lost 913 students, going from an overall enrollment of 25,108 in 2014 to 24,195 in 2016, according to Texas Education Agency data. The steepest decline was between 2014 and 2015, when enrollment decreased by 518 students. District officials stated their hope is getting students started with the district at a younger age through a program like the tuition-based pre-K could lead to higher retention and maybe even solve the issue of having some campuses with low utilization. The elementary campuses with the most available space are Castañeda with four vacant classrooms, Hendricks and Alvarez with three each, and Rayburn with five classrooms available. Officials said the program could get started with filling in the space available at these three locations and later expand, if necessary, to the other campuses, where mostly one or two classrooms are available. District administrators proposed charging about $650 monthly, $2,925 per semester, or $5,850 annually per student, which would offset costs such as staffing, furniture, curriculum and meals. The investment would be higher during year one, they explained, as they would expect to invest as much as $560,000 out of the district’s pocket if at least 25 classrooms were filled. This would constitute spending about $139,400 per classroom during the first year and about $103,400 in the following years. The estimate is to have about 20 students per classroom, along with one certified teacher and one aide, constituting the greatest annual expense of $86,000 for salaries, followed by furniture, technology and curriculum at $36,000, and meals at $17,400. Only salaries and meals would be recurring as classroom furniture and curriculum would be one-time expenses. During the startup year, the district would spend approximately $22,400 out of pocket per classroom after tuition, but district officials expect to see revenue of about $13,600 annually per classroom starting during the second year and on, which could add up to about $340,000 if 25 classrooms are filled. The next step is for administrators to go back to the drawing board and consider some of the recommendations, which ranged from looking into decreasing the tuition amount, to starting in one of the schools to gauge interest before expanding. Administrators would then present the proposed program to the board of trustees, which decides whether to move on or not.